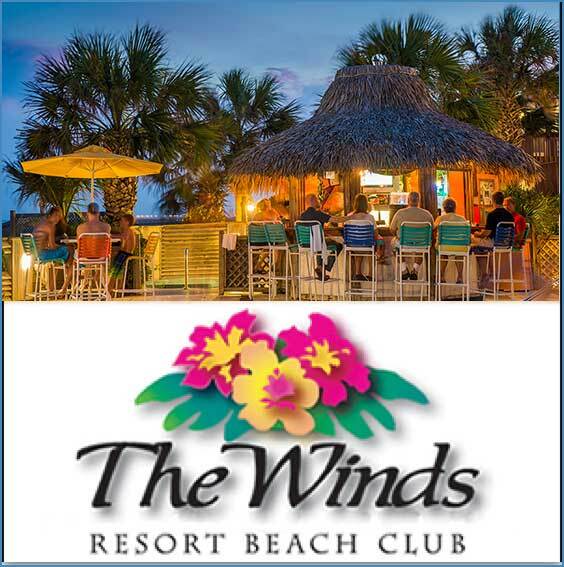 Download Free Discount Coupons good for 20% off already low off season room rates at The Winds Resort Beach Club on Ocean Isle Beach, NC! Click here to download these valuable coupons that you can print right off of your computer. The Winds is a small, intimate island resort ideal for vacations, romantic getaways, weddings, honeymoons, reunions, golf packages and excursions or small meetings. 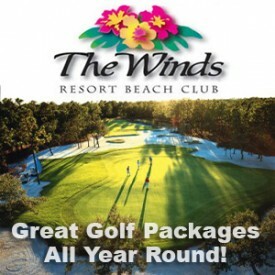 The Winds Resort Beach Club, on Ocean Isle Beach, NC, is more than just a beach resort hotel. The Winds’ complex is a lush tropical paradise offering a variety of Ocean Isle beach rentals and vacation homes all with access to a host of free amenities including three pools (one indoor), bikes to explore the island and much more. The Winds also offers 4, 5 and 6 bedroom Resort Cottages. No one offers a free breakfast spread like The Winds Resort Beach Club! All guests can enjoy this buffet free with their stay. With everything from eggs, breakfast meats, grits, potatoes, waffles, bagels and English muffins to fruit and hot and cold cereals. This is just a partial list. We promise that you will not be walking away hungry.